Born in Eastern Turkey, Veysel grew up in the modern city of Izmir along the Aegean Sea. He graduated from Turkish Military Academy in 1994 and retired from the army as a major in 2010, then earned his graduate degree in Physical Education in 2003. As a five-time national champion in orienteering, he ran for the Turkish National Team over 50 times. In 2004, he won the Gillette Mach 3 Turbo Iron Man Outdoor Challenge (184 km in 26 hours)—including orienteering, canoeing, trail running, cycling, swimming, mountaineering, and climbing stages—making him the toughest man in Turkey. 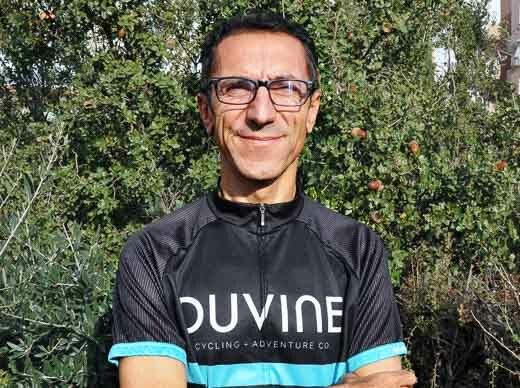 In additional to guiding for DuVine and cycling as a part of his endurance training, Veysel is the Sport Director of the Turkish Orienteering Federation and chair of the South East European Orienteering Association. He organizes training camps for Scandinavian national orienteering teams in the winter and leads outdoor travel programs in the summer.